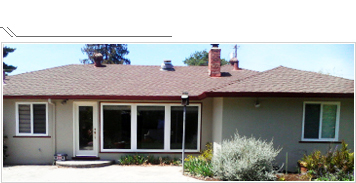 Gorilla Brush Painting in San Jose is passionate about the craftsmanship it brings to every commercial property it services with painting and renovation services. 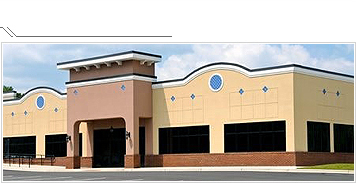 We have been in the commercial painting and renovation buisness for over 20 years. Gorilla Brush has the experience you want for your commercial painting project. Serving San Jose city and the surrounding areas, Gorilla Brush specializes in commercial custom painting for interior and exterior. At Gorilla Brush Painting, we pride ourselves on the number of repeat customers year after year. Providing our clients with the highest quality artistry and meticulous attention to detail, we strive for perfection in all our painting and renovation projects. Our strong work ethic and goal of perfection has earned us a reputation of excellence among our clients. In fact, many of our jobs are booked as a result of referrals and recommendations from previous clients. And, whether you need a painting or flooring project, or a commercial painting project accomplished, we have the skill and experience to assist you with everything from paint color selection to choosing the correct type of paint for your property as well. Once you have chosen your colors and textures, our professional painters will quickly and efficiently transform your space according to the pre-established design you have selected. You can expect their work to be of the highest quality: clean lines between walls and ceilings, evenly applied paint as well as straight and level wallpapers. If you wish to add some texture to your walls but prefer paint to wallpaper, our skilled professional painters can expertly apply faux or decorative finishes using different colors of paint. These techniques can be quite tricky but, when performed properly, can beautifully transform a room from drab to fab. We also offer an extensive selection of stencils and custom designs for clients who are looking for a unique, creative look for their new home or renovation painting project in San Jose. We offer ceiling and wall repairs for those clients who wish to freshen up a room but do not necessarily require the whole space to be painted. Holes and cracks in your walls and ceilings are unsightly and often make a really nice room look old and poorly maintained. Damage resulting from nails, water leaks or simple wear and tear can easily be repaired by filling them up with plaster, sanding then painting over them with a paint matching the one originally on the wall, which makes refreshing a room both cost and time efficient, with little inconvenience.